Nvidia may be betting its future on its embedded Tegra processor for cars, but PC gaming is the stake that’s keeping the company at the table. On Wednesday, Nvidia reported record fourth quarter revenues of $1.25 billion, up 9 percent. Profits, meanwhile, rose by a healthy 31 percent to $193 million. But two numbers continue to put the company’s achievements in perspective. While Nvidia’s GPU business racked up $1.07 billion in revenue, its Tegra processor business—currently deployed primarily in mobile products—accounted for only $112 million. In fact, Tegra revenue fell 33 percent sequentially and 15 percent from a year ago as several smartphones and tablet designs reached the end of their life. Nvidia chief executive Jen-Hsun Huang may have spent hours at CES describing how his company plans to enter the automotive business with new chips based upon its Tegra platform, but the numbers don’t lie: Nvidia is a GPU company that’s heavily reliant on desktops and notebook PCs. Nvidia can’t even count on the console market for revenue, as rival AMD made a clean sweep of the Microsoft, Nintendo, and Sony. Still, who cares? 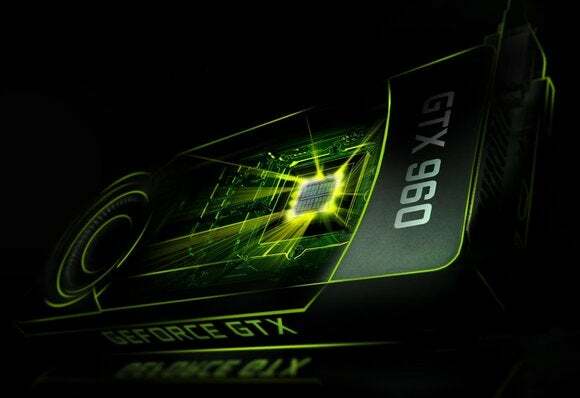 Revenue from the company’s GeForce business jumped 38 percent as the company’s “Maxwell” based products were snapped up by gamers: the GeForce GTX 980 and 970 on the high end, and the new 960 addressing the 1080p “sweet spot” of mainstream gaming. Even sales within the company’s Tegra business, which includes smartphones, tablets, gaming devices, and automotive systems, was primarily driven by two products: Nvidia’s Shield tablet—which has some of the cachet but none of the sales of either the Apple iPad, Microsoft Surface, or Google Nexus devices—and automotive infotainment systems. The latter won’t be playing Crysis anytime soon, so Nvidia can’t wait for autonomous cars to arrive and harness the visual computing power of its embedded chips—especially the new Tegra X1, which harnesses its PC graphics architecture. Pat Moorhead, principal analyst at Moor Insights and Strategy, tweeted that “‘Tegra is for automotive and gaming.’ Note no phones.” That may be because Nvidia’s latest Tegra chips are too powerful (and power-hungry) for products without their own robust power supply, like a car or PC. Nvidia’s numbers should remind you of one of its chief competitors, Intel, which is running down the Internet of Things while raking in gobs of money from its server business. Both Intel and Nvidia can afford to tilt at windmills while their other businesses keep them afloat—and eventually, they may hit what they’re aiming for.